Match ends, Guangzhou Evergrande 1, Beijing Sinobo Guoan 0. Second Half ends, Guangzhou Evergrande 1, Beijing Sinobo Guoan 0. Anderson Talisca (Guangzhou Evergrande) is shown the yellow card. Renato Augusto (Beijing Sinobo Guoan) wins a free kick in the defensive half. Foul by Anderson Talisca (Guangzhou Evergrande). Offside, Guangzhou Evergrande. Anderson Talisca tries a through ball, but Ricardo Goulart is caught offside. Zeng Cheng (Guangzhou Evergrande) is shown the yellow card. Attempt missed. Piao Cheng (Beijing Sinobo Guoan) right footed shot from outside the box misses to the right. Corner, Beijing Sinobo Guoan. Conceded by Zheng Zhi. Jonathan Viera (Beijing Sinobo Guoan) wins a free kick in the defensive half. Foul by Paulinho (Guangzhou Evergrande). Goal! 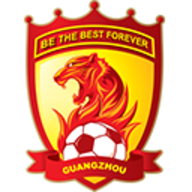 Guangzhou Evergrande 1, Beijing Sinobo Guoan 0. Anderson Talisca (Guangzhou Evergrande) left footed shot from the centre of the box to the bottom left corner. Assisted by Ricardo Goulart with a through ball. 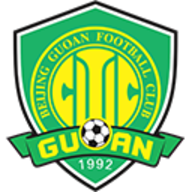 Delay in match Guo Quanbo (Beijing Sinobo Guoan) because of an injury. Substitution, Beijing Sinobo Guoan. Wei Shihao replaces Cédric Bakambu. Attempt missed. Ricardo Goulart (Guangzhou Evergrande) header from the centre of the box is too high. Assisted by Anderson Talisca with a cross. Foul by Yu Dabao (Beijing Sinobo Guoan). Zhang Linpeng (Guangzhou Evergrande) wins a free kick in the defensive half. Attempt missed. Paulinho (Guangzhou Evergrande) header from the centre of the box is close, but misses to the right. Assisted by Huang Bowen with a cross following a corner. Corner, Guangzhou Evergrande. Conceded by Chi Zhongguo. Attempt saved. Ricardo Goulart (Guangzhou Evergrande) right footed shot from the right side of the box is saved in the centre of the goal. Assisted by Paulinho. Foul by Cédric Bakambu (Beijing Sinobo Guoan). Feng Xiaoting (Guangzhou Evergrande) wins a free kick in the defensive half. Substitution, Guangzhou Evergrande. Yang Liyu replaces Gao Lin. Feng Xiaoting (Guangzhou Evergrande) is shown the yellow card for a bad foul. Renato Augusto (Beijing Sinobo Guoan) wins a free kick on the right wing. Foul by Feng Xiaoting (Guangzhou Evergrande). Offside, Guangzhou Evergrande. Zheng Zhi tries a through ball, but Ricardo Goulart is caught offside. Foul by Piao Cheng (Beijing Sinobo Guoan). Zheng Zhi (Guangzhou Evergrande) wins a free kick in the attacking half. Attempt missed. Jonathan Viera (Beijing Sinobo Guoan) right footed shot from the left side of the box is close, but misses to the left. Assisted by Zhang Xizhe. Delay in match (Guangzhou Evergrande). Video Review. Cédric Bakambu (Beijing Sinobo Guoan) wins a free kick on the left wing. Foul by Zheng Zhi (Guangzhou Evergrande). Renato Augusto (Beijing Sinobo Guoan) is shown the yellow card for a bad foul. Foul by Renato Augusto (Beijing Sinobo Guoan). Paulinho (Guangzhou Evergrande) wins a free kick in the defensive half. Attempt blocked. Jonathan Viera (Beijing Sinobo Guoan) right footed shot from outside the box is blocked. Jonathan Viera (Beijing Sinobo Guoan) wins a free kick in the attacking half. Attempt blocked. Paulinho (Guangzhou Evergrande) right footed shot from the centre of the box is blocked. Assisted by Ricardo Goulart. Attempt missed. Anderson Talisca (Guangzhou Evergrande) left footed shot from outside the box is close, but misses the top left corner. Assisted by Huang Bowen. Foul by Zhang Yu (Beijing Sinobo Guoan). Piao Cheng (Beijing Sinobo Guoan) wins a free kick in the defensive half. Foul by Deng Hanwen (Guangzhou Evergrande). Corner, Beijing Sinobo Guoan. Conceded by Zeng Cheng. Corner, Guangzhou Evergrande. Conceded by Jin Taiyan. Corner, Guangzhou Evergrande. Conceded by Zhang Yu. Foul by Jin Taiyan (Beijing Sinobo Guoan). Gao Lin (Guangzhou Evergrande) wins a free kick on the left wing. Offside, Guangzhou Evergrande. Deng Hanwen tries a through ball, but Huang Bowen is caught offside. Paulinho (Guangzhou Evergrande) is shown the yellow card. Corner, Beijing Sinobo Guoan. Conceded by Zhang Linpeng. Penalty saved! Renato Augusto (Beijing Sinobo Guoan) fails to capitalise on this great opportunity, right footed shot saved in the bottom left corner. Delay in match (Beijing Sinobo Guoan). Video Review. Substitution, Guangzhou Evergrande. Deng Hanwen replaces Zou Zheng. Substitution, Beijing Sinobo Guoan. Yu Dabao replaces Ba Dun. Delay in match Zeng Cheng (Guangzhou Evergrande) because of an injury. Attempt blocked. Cédric Bakambu (Beijing Sinobo Guoan) right footed shot from a difficult angle on the left is blocked. Penalty conceded by Mei Fang (Guangzhou Evergrande) with a hand ball in the penalty area. Attempt saved. Cédric Bakambu (Beijing Sinobo Guoan) right footed shot from the centre of the box is saved in the centre of the goal. Assisted by Jonathan Viera with a through ball. Attempt saved. Anderson Talisca (Guangzhou Evergrande) left footed shot from the right side of the box is saved in the centre of the goal. Assisted by Zheng Zhi. Substitution, Guangzhou Evergrande. Huang Bowen replaces Zhong Yihao. Jonathan Viera (Beijing Sinobo Guoan) is shown the yellow card for a bad foul. Foul by Jonathan Viera (Beijing Sinobo Guoan). Zheng Zhi (Guangzhou Evergrande) wins a free kick in the defensive half. Attempt missed. Zhang Yu (Beijing Sinobo Guoan) header from the centre of the box is close, but misses to the left. Assisted by Renato Augusto with a cross following a corner. Corner, Beijing Sinobo Guoan. Conceded by Zou Zheng. Attempt blocked. Cédric Bakambu (Beijing Sinobo Guoan) right footed shot from outside the box is blocked. Assisted by Jonathan Viera. Zheng Zhi (Guangzhou Evergrande) is shown the yellow card for a bad foul. Renato Augusto (Beijing Sinobo Guoan) wins a free kick in the attacking half. Offside, Guangzhou Evergrande. Zou Zheng tries a through ball, but Gao Lin is caught offside. Attempt saved. Ricardo Goulart (Guangzhou Evergrande) left footed shot from outside the box is saved in the centre of the goal. Assisted by Zhong Yihao. Foul by Liu Huan (Beijing Sinobo Guoan). Anderson Talisca (Guangzhou Evergrande) wins a free kick in the defensive half. Foul by Zou Zheng (Guangzhou Evergrande). Second Half begins Guangzhou Evergrande 0, Beijing Sinobo Guoan 0. First Half ends, Guangzhou Evergrande 0, Beijing Sinobo Guoan 0. Attempt missed. Renato Augusto (Beijing Sinobo Guoan) right footed shot from outside the box is close, but misses to the right. Assisted by Ba Dun. Attempt missed. Ba Dun (Beijing Sinobo Guoan) left footed shot from the left side of the box misses to the right. Assisted by Zhang Xizhe. Attempt missed. Gao Lin (Guangzhou Evergrande) right footed shot from outside the box is high and wide to the right. Assisted by Anderson Talisca. Attempt missed. Paulinho (Guangzhou Evergrande) header from the centre of the box is high and wide to the left. Assisted by Gao Lin with a cross. Cédric Bakambu (Beijing Sinobo Guoan) is shown the yellow card for a bad foul. Offside, Beijing Sinobo Guoan. Jonathan Viera tries a through ball, but Cédric Bakambu is caught offside. Attempt blocked. Zhang Xizhe (Beijing Sinobo Guoan) right footed shot from the centre of the box is blocked. Assisted by Jonathan Viera. Zhong Yihao (Guangzhou Evergrande) hits the right post with a right footed shot from the centre of the box. Assisted by Zou Zheng. Offside, Beijing Sinobo Guoan. Guo Quanbo tries a through ball, but Ba Dun is caught offside. Piao Cheng (Beijing Sinobo Guoan) wins a free kick on the right wing. Delay in match Anderson Talisca (Guangzhou Evergrande) because of an injury. Attempt missed. Anderson Talisca (Guangzhou Evergrande) left footed shot from outside the box misses to the left. Assisted by Paulinho with a through ball following a fast break. Substitution, Beijing Sinobo Guoan. Piao Cheng replaces Yu Yang because of an injury. Delay in match Yu Yang (Beijing Sinobo Guoan) because of an injury. Attempt missed. Paulinho (Guangzhou Evergrande) header from very close range is too high. Assisted by Anderson Talisca with a cross following a corner. Corner, Guangzhou Evergrande. Conceded by Guo Quanbo. Attempt blocked. Paulinho (Guangzhou Evergrande) right footed shot from the centre of the box is blocked. Assisted by Zhang Linpeng with a cross. Attempt missed. Anderson Talisca (Guangzhou Evergrande) header from the centre of the box misses to the left. Assisted by Gao Lin with a cross. Corner, Beijing Sinobo Guoan. Conceded by Mei Fang. Foul by Zhong Yihao (Guangzhou Evergrande). Liu Huan (Beijing Sinobo Guoan) wins a free kick in the defensive half. Liu Huan (Beijing Sinobo Guoan) wins a free kick in the attacking half. Delay in match Ba Dun (Beijing Sinobo Guoan) because of an injury. Attempt missed. Jonathan Viera (Beijing Sinobo Guoan) right footed shot from outside the box is close, but misses to the left. Attempt missed. Zou Zheng (Guangzhou Evergrande) left footed shot from the left side of the box is close, but misses to the left. Assisted by Paulinho. Zhong Yihao (Guangzhou Evergrande) wins a free kick in the defensive half. Offside, Beijing Sinobo Guoan. Renato Augusto tries a through ball, but Chi Zhongguo is caught offside. Attempt missed. Anderson Talisca (Guangzhou Evergrande) left footed shot from the left side of the box misses to the left. Assisted by Gao Lin. Zhang Linpeng (Guangzhou Evergrande) is shown the yellow card for a bad foul. Foul by Zhang Linpeng (Guangzhou Evergrande). Ba Dun (Beijing Sinobo Guoan) wins a free kick on the left wing. Anderson Talisca (Guangzhou Evergrande) hits the right post with a left footed shot from outside the box from a direct free kick. Anderson Talisca (Guangzhou Evergrande) wins a free kick in the attacking half. Foul by Chi Zhongguo (Beijing Sinobo Guoan). Zou Zheng (Guangzhou Evergrande) wins a free kick in the defensive half. Foul by Ba Dun (Beijing Sinobo Guoan). Attempt saved. Anderson Talisca (Guangzhou Evergrande) left footed shot from the right side of the box is saved in the centre of the goal. Assisted by Ricardo Goulart.